“It was fun returning to an area I had previously been near and seeing some of the same people. I can tell the relationship feels much more real and solid when I’m not someone they’ll never see again. I am enjoying building on my relationship with FAPI and the FAPI staff. Over the last year I have at numerous times thought about FAPI and how best to help them, and I’m sure I will continue even more so to feel personally committed to this partnership. Visiting Sanpiring [where the previous volunteer assignment was conducted] and seeing everyone was one of the most joyful things I can remember in a long time. ‘Many people have come here before, but only you have come back,’ they told me. “I’ve done numerous F2F assignments around the world but this is my first contribution to the blog. In fact, this is the first time I’ve ever contributed to any blog. But not only was I asked to blog about my assignment but I’m also aware of the value and the fact that this last assignment was something special. I thought I’d share. 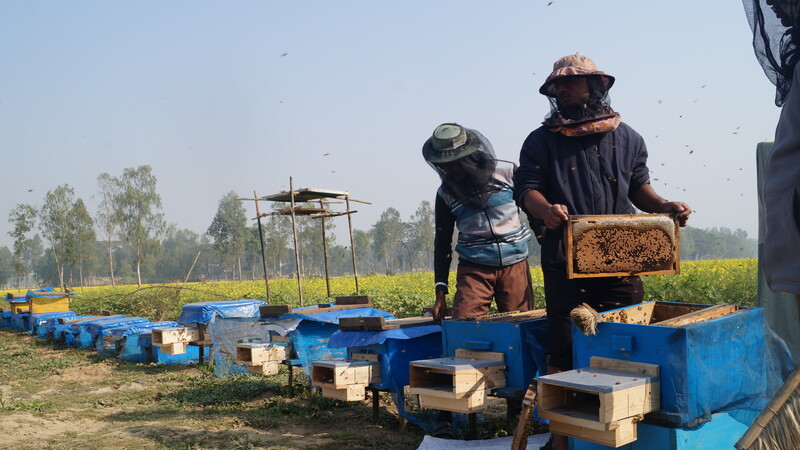 Having done three previous assignments in Bangladesh, I was already familiar with many of the staff and some of the issues which needed addressing in my sector of honey production and all that involves. But this latest assignment was clearly different. That’s not to say that not all assignments have their particulars that create interesting challenges and, when successful, however large or small, have their rewards. The host for this assignment was actually another branch of Winrock International and the USAID for Climate-Resilient Ecosystems and Livelihoods (CREL) Program for Bangladesh. After my briefing with Winrock’s F2F staff in Dhaka I was handed over to the Dhaka CREL staff for more briefing. In fact, I’d been in touch with both staffs some weeks prior to my arrival and was already excited about this assignment. 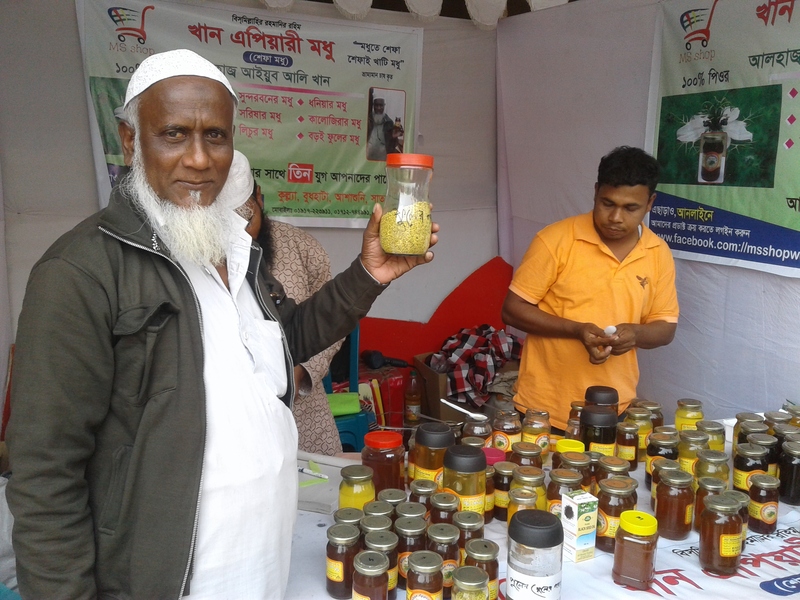 Beyond CREL being involved in the issues its name infers, they were ready and prepared to make some real differences in the honey sector of Bangladesh. This assignment involved the bees and the products they produce in the Sundarbans. The Sundarbans is a National Forest in the southwest of the county and is really the mouth of the delta of the major rivers that make up Bangladesh. It is the largest mangrove forest in the world and the home to the largest population of Bengal tigers. Although it is called a forest, it is in fact, a huge jungle with no roads and no human inhabitants. It has a complex network of waterways that are used for access and transportation. It is also the seasonal home of the wild, giant specie of honeybees known as Apis dorsata. Apis dorsata, like all honeybees live in a complex, family structure and require nectar and pollen for their food and offspring development. Unlike the bees we normally know, Apis dorsata refuses to live in cavities but rather hangs large single combs from branches and eaves. It also migrates with the flower’s seasons and is known to go as far as 200 km. The wild bees of the Sundarbans are known to go as far north as northern Bangladesh, then come south for the mustard and other crops into the middle of the country and then down into the Sundarbans for the wild flowers of the jungle. They start arriving in the Sundarbans in late September and into October. At each location, colonies need to build new nests and collect new honey. For thousands of years the honey hunters (Mawalis) of the Sundarbans have collected that honey. They don’t keep bees but hunt them and collect their honey. 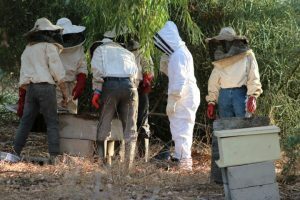 For years they did this in ways that weren’t sustainable as they didn’t understand that taking the brood with the honey was reducing the wild bees’ populations. 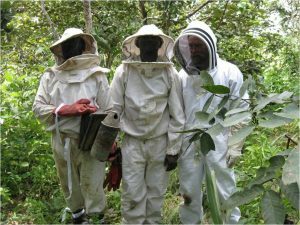 But some 15 years ago they learned more sustainable methods and now, for the most part, leave the brood and some amount of honey in place when the harvest their crops. 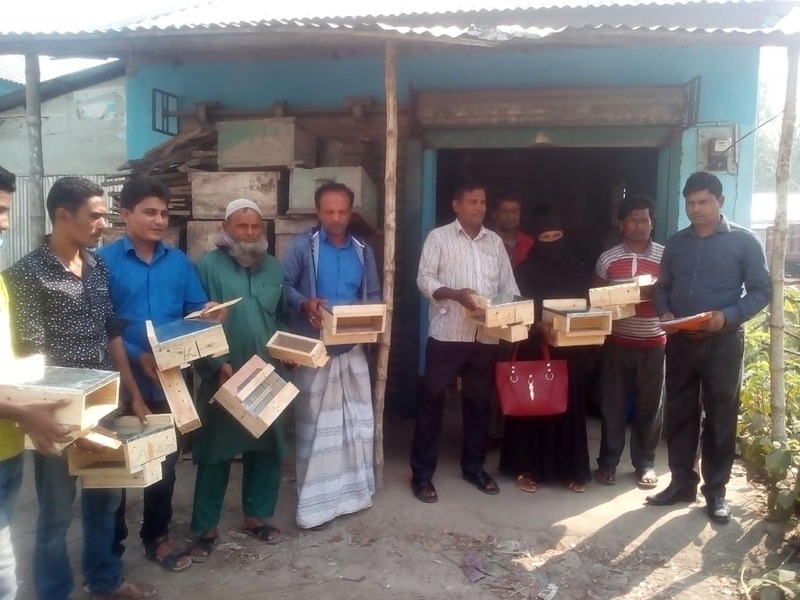 The goal of this assignment was to further the goals of sustainable practices and help the Mawalis through the development of a value-chain to produce a high quality product that will better support them and also create other related industries for the people who live in the adjacent towns around the Sundarbans. Clearly this assignment was not expected to reach the goal but to size up the potential and design a strategy for working toward that goal. 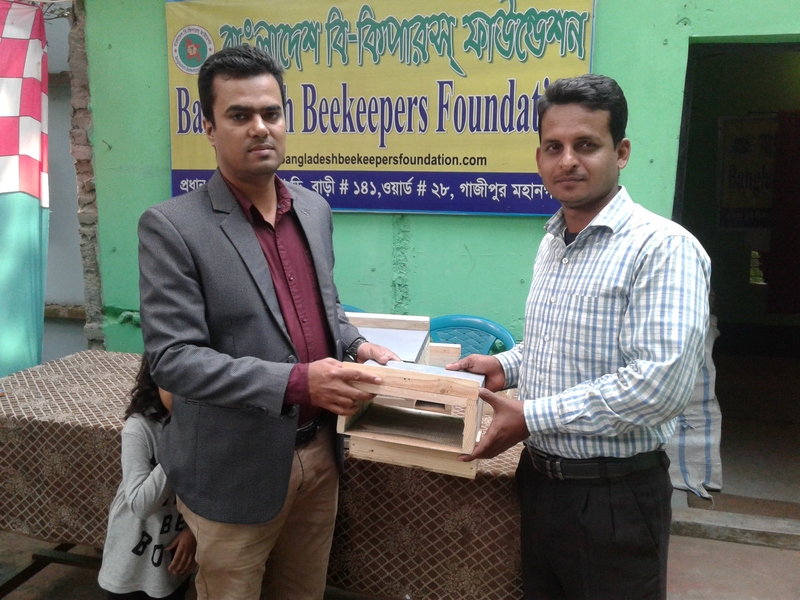 This required some organization building, working with local authorities, defining some quality standards and ways they can be implemented, suggesting how the value-chain can be structured and suggest adjacent industries that can both feed into the Mawalis’ work and process the products in ways that respect the qualities of honey produced in the Sundarbans. It was also noted that the by-product of beeswax from the wild bees had special qualities that are worthy of value-added processes that can be done in cottage industry settings.